Municipal tramway: 16 Nov. 1915 - today (service interrupted between the day of the atomic bomb attack [9 Aug. 1945] and 25 Nov. 1945). 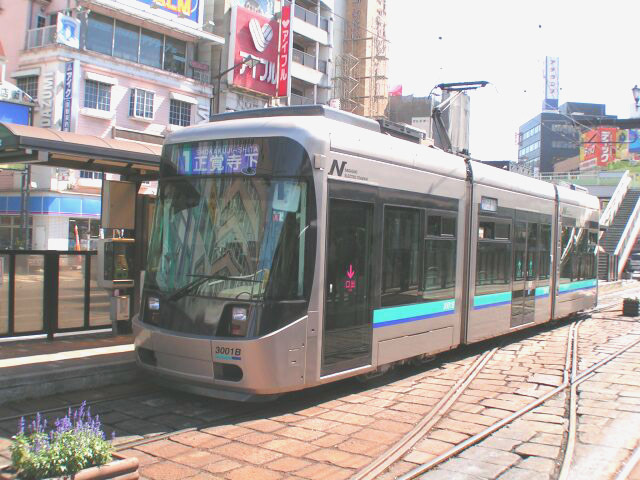 Pulling, N. "Nagasaki: Risen from ruin", Tramways & Urban Transit, Jan. 2019 (82: 973), p. 20-21. 田栗優一 (Taguri, Y.) 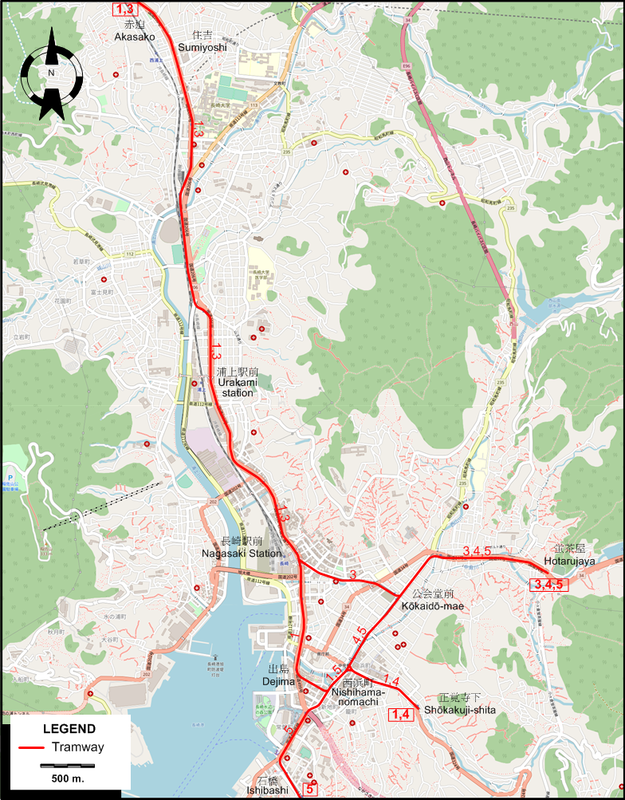 長崎「電車」が走る街　今昔 (The city where the Nagasaki trams run - Past and present). 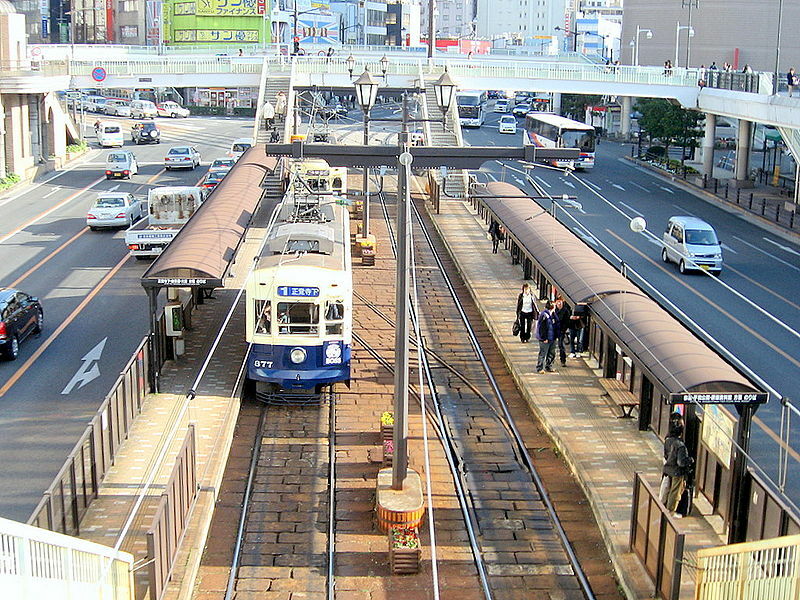 Tokyo: JTB, 2005.